Unravel the mystery of the Ghost King and save your family ! The evil spirits that haunt the narrow trails of a mountain have been trapping travelers, and have captured your family! Trapped in a labyrinth of caves, it’s up to you to go spelunking and save the people from certain doom! 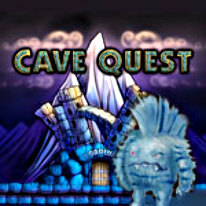 Unravel the mystery of the Ghost King and save your family in Cave Quest, a fast-paced and exciting Match 3 game!